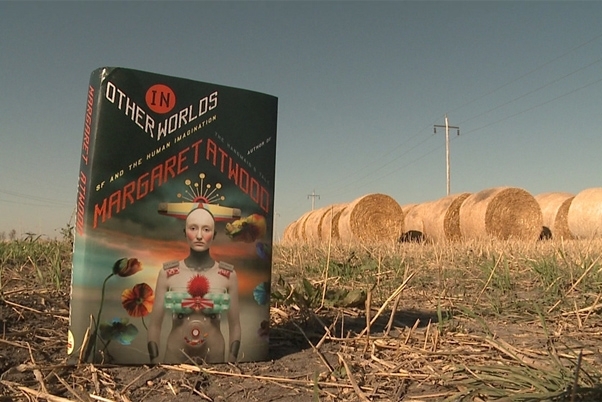 Through a unique partnership with Canopy, a non-profit organization dedicated to protecting the world’s forests, Cascades participated in a unique pilot project: the publication of a special edition of In Other Worlds: SF and the Human Imagination, by renowned Canadian author Margaret Atwood, on Second Harvest Paper made from agricultural waste. This revolutionary paper is manufactured from a mixture of recycled fibre and leftover straw recovered from cereal crops after the harvest. The Cascades Fine Papers Group produced these remarkable sheets at our Rolland plant, at Saint-Jerome,Québec,Canada. The quality of the finished product is so exceptional that it’s very difficult to distinguish from “normal” paper. Since that was our goal, this is great news! Our work began when Canopy, who was in charge of the project, turned to us for assistance thanks to our longstanding relationship. From the outset, we shared the same goal of making our products more environmentally friendly. With this special edition of the Margaret Atwood book, we wanted to demonstrate the viability of Second Harvest Paper as an alternative to traditional paper. Second Harvest offers a great way to diversify the sources of North American fibre used to make paper and reduce pressure on forests, while recycling waste products from another industry. Cascades has been manufacturing Rolland Enviro100 paper for several years, and our desire to innovate has led us to ask “where do you go after 100% recycled?” This project has provided an answer. The crucial next step between the pilot project and the marketing of this product is to establish an infrastructure inNorth Americato convert straw into pulp suitable for paper production. A project of this magnitude will require the participation of several partners. This initiative is an example of a successful partnership that advances the state of the art and sets the stage for projects that once seemed unfeasible. With teamwork and courage, nothing is impossible! Can you envision any solutions to challenges ahead? What do you think about this pilot project? We’d love to hear from you!